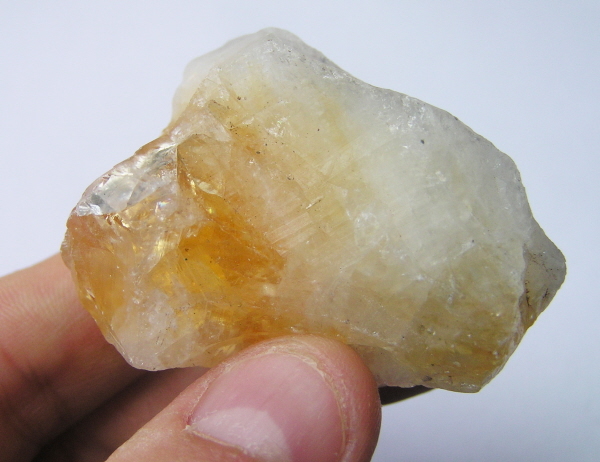 Citrine is a lesser seen crystal than the usual Amethyst and Quartz, but is a lovely looking stone. It is a mixture of milky white stone with a rich golden area of crystal. This is a large, natural specimen and would look great on any window ledge or desk.